The UAE economy is likely to be the best performer in the Middle East and North Africa region, where economy is likely to slow a bit further in 2017 as cuts to oil output undermine growth and a combination of tighter fiscal policy and higher inflation weigh on some of the region’s major economies, analysts at Capital Economics said. Although the Mena region is still adjusting to much lower global oil prices, the agreement to limit oil production and the need for fiscal austerity will keep growth subdued in the Gulf, analysts said in their Global Economic Outlook report giving an overall brighter prospects for the world. As growth in the Gulf has slowed sharply over the past couple of years as the collapse in oil prices forced governments to tighten fiscal policy, headline GDP growth is likely to ease a bit further in the coming quarters as countries cut oil output in line with last year’s Opec deal, analysts said in their report. “The good news is that the worst of the slowdown in the Gulf’s non-oil sectors appears to be over. Fiscal policy should become less restrictive in most places,” they said. Indeed, Saudi Arabia’s latest budget pointed to a broadly neutral fiscal stance following two years of harsh austerity. This will more than offset the impact of monetary policy tightening as domestic interest rates rise in line with those in the US even as dollar pegs will remain intact,” said the report. “Having been below consensus on growth last year, our forecasts for the Gulf in 2017 are now a bit stronger than the consensus. 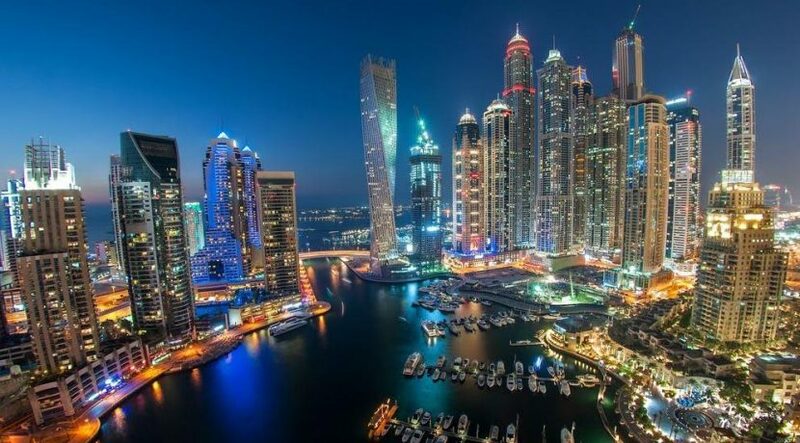 The UAE is likely to be the best performer in this part of the region,” analysts observed in their forecast, which was in line the upbeat future economic scenario predicted by the International Monetary Fund in its latest World Economic Outlook. According to the Washington-based fund, UAE’s economic growth will accelerate to 4.4 per cent in 2018 as global growth is expected to pick up steam from 2017, driven by rebound in investment, manufacturing and trade. The IMF raised its outlook for the global economy, and said the world growth is expected to rise to 3.5 per cent this year and 3.6 per cent in 2018, compared to 3.1 per cent last year with “buoyant financial markets and a long-awaited cyclical recovery in manufacturing and trade under way.” For 2017, the IMF cut its forecast for Arabian Gulf oil producers’ economic growth arguing that their output restraint deal is expected to wipe out any gains from higher oil prices in terms of government revenue. “The expected growth improvements in 2017 and 2018 are broadly based,” said Maurice Obstfeld, the IMF’s head of research, but he added that “growth remains tepid in many advanced economies, and commodity exporters continue to struggle”. The IMF said that it expects real GDP growth for the seven oil-exporting countries in the Middle East of 1.9 per cent this year, which is a full percentage point lower than the 2.9 per cent growth it forecast for the group last October. Saudi Arabia’s growth is forecast to grow at just 0.4 per cent this year, compared with a forecast last October of 2 per cent, and 1.3 per cent in 2018. The UAE’s growth forecast, which is cut to 1.5 per cent in 2017 from 2.5 per cent last year, is seen accelerating to 4.4 per cent in 2018, at the fastest pace in the region. According to the Institute of International Finance, the UAE economy has been resilient to the impact of the slump in oil prices as it has benefited from a relatively diversified economy, excellent infrastructure, political stability and ample foreign assets. The Capital Economics report observed that global growth has picked up in recent months and looks set to be fairly strong for the next two years. The US economy has a lot of momentum even without the planned fiscal stimulus, and prospects for the eurozone have brightened despite political uncertainties. The rebound in China, which began last year, has almost run its course and will probably lose some momentum in the coming months. India is on track to be the fastest-growing major economy this year and next. Household spending is rebounding from the effects of the last year’s demonetisation measures, the report said. All rights reserved to the initial publisher for Khaleej Times .